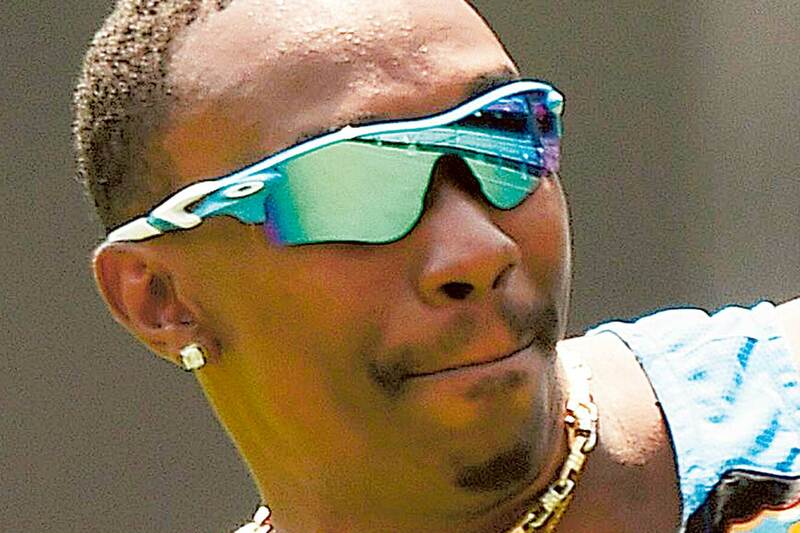 Kolkata: West Indies’ all-rounder Dwayne Bravo is an inspiring character alright. The flamboyant cricketer keeps thinking all the time and also uses his non-cricketing talent for his team’s benefit. His ‘Champion’ song released by himself last month, has gone viral and has reportedly played a huge role in unifying the team. Interestingly, West Indies players now celebrate each of their wins by singing the song. And very often star player Chris Gayle is seen dancing with him. The ‘Champion’ song refers to West Indies cricketers like Brian Lara, Sir Vivian Richards, the late Malcolm Marshall, Gayle and Bravo as champions. It has become such a craze that many fans here have begun having it as their mobile ringtone. Last time when West Indies won the Twenty20 World Cup, the Gangnam Style craze was on full display with Gayle and co doing it every time they won. West Indies skipper Darren Sammy has the greatest regard for Bravo. On the eve of the final, he commented that Bravo had played a big role in inspiring the team. These lines, he said, helped boost the self-belief of players. During the release of the song, Bravo, who spends a lot of time in India playing in the Indian Premier League, was asked to pick his favourite Bollywood song, and he named ‘The Lungi Dance’ from the Shah Rukh Khan movie Chennai Express. Bravo also enjoys listening to Oscar-award winning Indian musician A.R. Rahman’s songs. And like Gayle, Bravo too enjoys dancing. In the ‘Champion’ song, he also salutes Nelson Mandela, Barack Obama and Gayle’s close friend and sprinter Usain Bolt. But what has been Bravo’s greatest moment so far? “Four years ago when we won the T20 World Cup in Sri Lanka, I took the final catch, that too on my birthday. That was a great moment for me,” he said. Bravo said playing in India was a pleasure and said it is now the home of cricket. Right now Bravo is also the favourite player among Kolkata fans for the sheer joy he brings to the game. Many of them are looking forward to him dancing if West Indies lift the trophy.